Life size paintings, March 26 - May 2, 2010. Opening reception: Friday, March 26, 5 - 7:30 p.m., featuring sale of Mayan Crafts. Slide Lecture: Wednesday, March 31, 2:00 p.m.
April 30 – May 3, 2010Art Chicago and NEXT are pleased to announce Converge Chicago: Contemporary Curators Forum | Production of the New. Panels created with the Renaissance Society, Independent Curators International and other partners will consider new models, fresh ideas and innovative ways of working in challenging times. As part of the Studio Visit Series, artists and curators will discuss art production in unmediated one-one conversations. 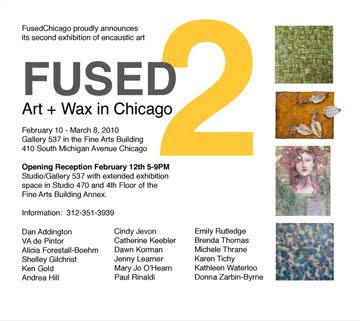 For a more information, visit artchicago.com and nextartfair.com. > Join Us for a Discussion of the National Arts Index on March 3. But how do we measure the vitality of the arts? The National Arts Index is designed to do just that. The National Arts Index is an annual single-number score -- distilled from 76 national indicators -- that measures the strength of the arts in America. Arts Alliance Illinois is proud to present a discussion of the National Arts Index in partnership with the Cultural Policy Center at the University of Chicago, the Chicago Department of Cultural Affairs, and the Arts & Business Council. The event is free, but you must RSVP to attend. As Sonnenzimmer, Nadine Nakanishi and Nick Butcher have created screen printed posters for clients as varied as Throbbing Gristle, Andrew Bird, The Newberry Library, and Human Rights Watch. Using a mixture of chance abstraction, modernist typography, and representational imagery, the duo has developed a unique aesthetic that pulls from various movements in art history while remaining distinctly forward thinking. Vorab Fabrik or “Beforehand Factory” is the duo’s first exclusive solo gallery show focusing on their non commissioned art work. Pulling from such influences as minimalism, arte povera, and abstract expressionism, the two are making work that forgoes the functionality of the poster yet retains the graphic quality found in their commercial work. Vorab Fabrik features an interactive sound installation, a drawing piano, paintings and so much more. There will be lots of beautiful art for sale so don't forget your roll of cash! Fear not, we take credit cards too. Historians frequently assert that women artists fared better in Chicago than New York or Los Angeles. Despite this perceived reality, many women participated in collaborative groups, such as women artists’ art associations and cooperatives in order to create greater visibility for themselves. This presentation will examine this history, as well as the reasons why they chose to forge these alliances in a city well known for its warm reception of female artists. Joanna Gardner-Huggett is an associate professor of history of art and architecture at DePaul University where she specializes in 20th century art and feminist art and activism. special Interest group within the National Women's Caucus for Art.